Answer: A lot of money. 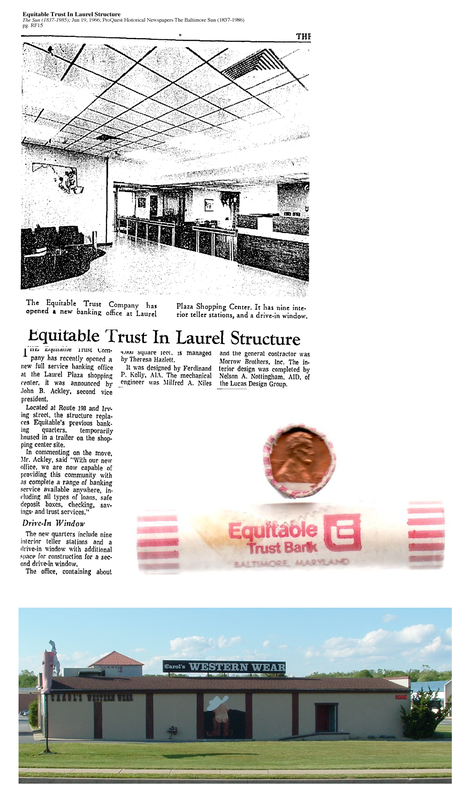 According to this article in the June 19, 1966 Baltimore Sun, it was Equitable Trust Bank. Surprised no one commented on this this unless its just common knowledge. Little bit of history about the Equitable Trust Bank I heard from my parents then learned in history later. I heard it from the parents first since my mom worked at this bank. George Wallace’s assassination attempt happened right in front of this bank. Here is an excerpt from Wiki. This was a different branch location at Laurel Plaza; the Wallace shooting was at Laurel Shopping Center. Yes Richard, I did see that shortly after me posting. That was a good read. Sorry about that, feel free to remove my post if you want.